Who Is Next In Line For 'The Notorious' ? Although he's the most famous fighter on the planet, things haven't been going well for Conor McGregor in the combat sports world recently. His last win was all the way back in November 2016 and since then, he's lost a one-sided boxing match against Floyd Mayweather and took a resounding beating from Khabib Nurmagomedov in their hotly anticipated bout at UFC 229. Now it's time for McGregor to get back into the hunt for another lightweight title shot, but it'll be far from easy as he has the unenviable task of having to compete in the deepest and most dangerous division in the UFC. Everyone who can make 155lb wants a chance at the Irish knockout king, but who will be the next person to tell their partner it's 'red pantie night' courtesy of Conor McGregor? 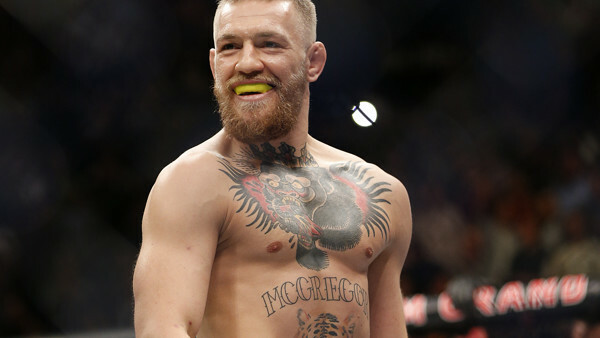 From mouth-watering rematches to new, challenging foes, there are certainly plenty of options for 'The Notorious', as he continues his journey back to the top of sport. These are some of the most exciting fights the UFC could book for the original champ-champ when he returns later this year.